Today I focused on getting my outfeed table constructed. I used plywood for a base and then I cut three more plywood pieces with the center piece being the size between the miter slots. 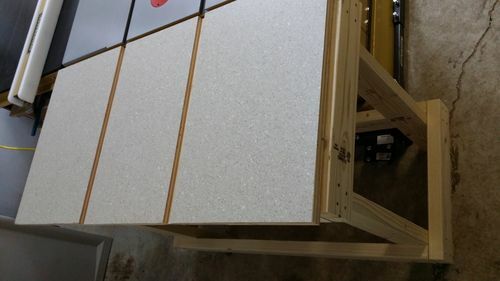 This allowed me to avoid having to cut dados as i just spaced them as needed on glueup. I use contact cement to attach some laminate that I had leftover from another project. 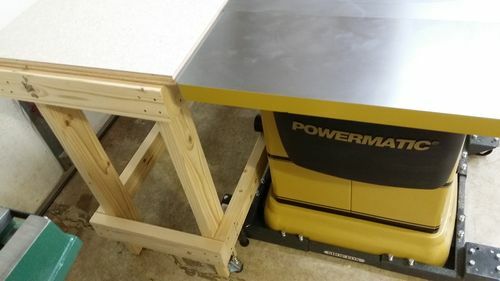 I built a wooden stand from 2×4s (used this concept as I have done with all my shop tableshttp://www.hammerzone.com/archives/workshop/bench/below20xl.html) and attached the top to it. Added some levelers as my shop floor is not even. Surface is about 20×40 inches. Hopefully this will increase safety with longer cuts. 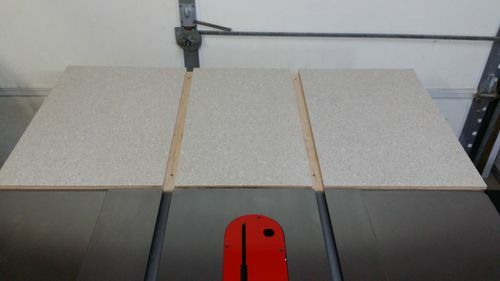 One suggestion I would like to make is that the miter slots should be a bit wider, I know they look cool this way, but when your in the middle of a cut is not the time to discover that the table has been bumped and moved over oh so slightly … Built in fudge factor I call it. Thanks for the suggestion. I did make the slots a bit wider than those on my table saw so I wouldn’t need to be perfectly aligned. I hope to add something to ensure placement of the outfeed table is set but if I run into issues will look into widening the slots some more. 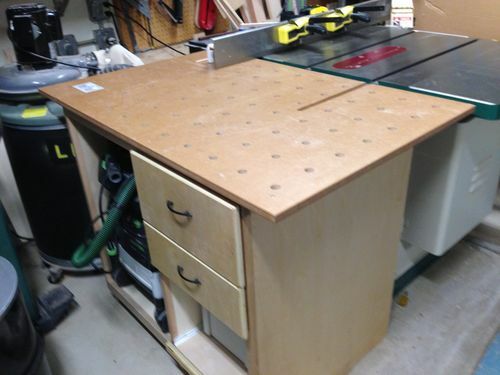 How wide did you make the slots on your outfeed table? feed table design after many over the years. That looks really nice. Thanks for sharing the pictures. With the benchdog holes do you use this for assembly as well? I am thinking of how to add some drawers onto mine. 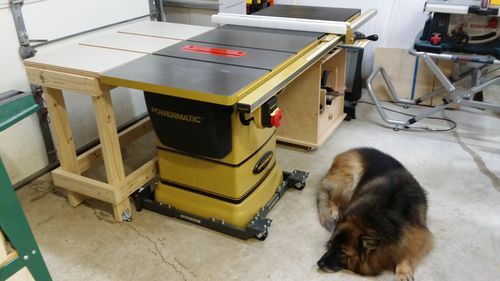 Given my shop setup, it faces toward the overhead door so will have to be creative regarding orientation to allow for access. Another opportunity for some “craftmanship”!! 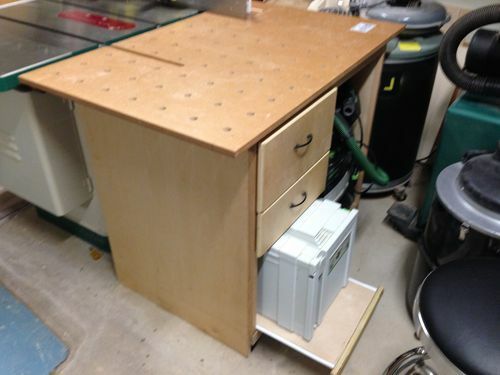 This is my final out feed table design after many over the years. !